Our hearts go out to her family. It's sad for any parents to lose their child like this, immediately after her graduation. 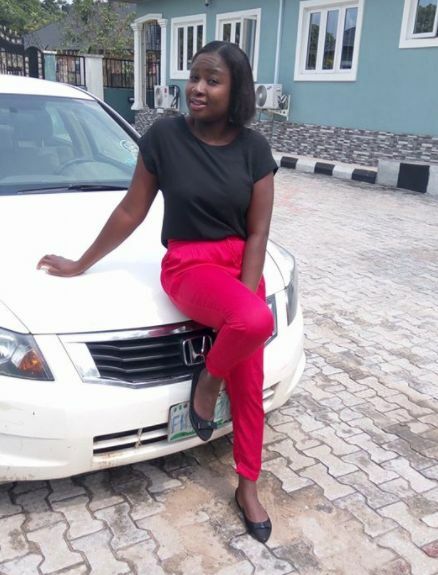 Uloko Lauretta Apaume was reportedly killed on Friday night by a yet to be identified member of the Auchi community vigilante. How sad! “The vigilance men, according to the report of the divisional police officer on ground, had been invited by the students and it was in the night. “It was clearly a misadventure; it was not an intentional killing as there is no record of any sort that there had been malice between the late student or any student for that matter and the vigilance men. So, the vigilance man had an accidental discharge so to say while the celebration was on.